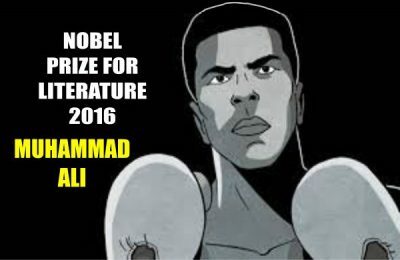 STOCKHOLM – Following its shock 2016 Literature Nobel Prize award to folk singer Bob Dylan, the Nobel committee today granted a “a special posthumous literary award” to the late Muhammad Ali, author of the immortal “Float like a butterfly, sting like a bee,” and other frequently quoted lines. For claiming to be King of the Jungle! He’ll end up in a ringside seat! Which proves I’m the king of the ring by far. “Ali is the brilliant inheritor of the martial tradition. 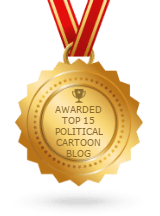 Great choice,” added fellow Nobel laureate, Salman Rushdie, on his Twitter feed.